Don’t know anything about Olympic kayaking? We’ve got you covered. To help you pretend like you know something about the more obscure Olympic sports, we’ll be bringing you guides for idiots novices so you can fake your way through a conversation or pretend like you know what’s happening while you watch. Previously: handball and rugby sevens. Today: kayaking. Unless you’re from Mars, you’ve seen a canoe before. The Olympic canoeing and kayaking event are pretty straightforward—it’s just a race. There are two types of competitions, a sprint on flat water and a whitewater slalom. There are a variety of team sizes and distances, but that’s about it. The whitewater canoe and kayak events are kinda badass. Some of the gates require you to turn around and go through them against the current. The speed and flawless synchronization in the team sprint events are pretty impressive, too. Nope. The last American to medal Rebecca Giddens, who won silver in the single kayak slalom in 2004. Greg Barton won a bronze in 1,000m single kayak sprint in 1992. No one country dominates these events. Most recent medalists are from Europe, particularly central and eastern Europe. Benjamin Boukpeti, who was born in France, won a bronze in 2008 while representing Togo. This could be a mess. 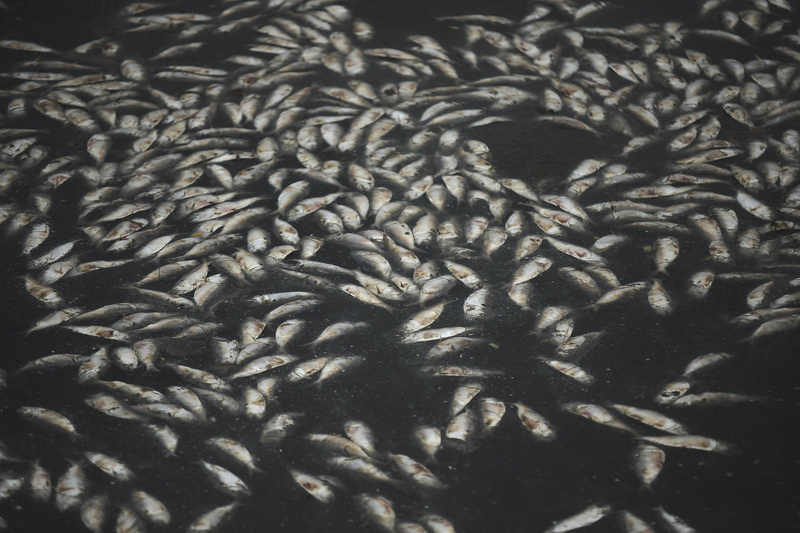 The sprint events will be held at the Lagoa Rodrigo de Freitas, where algae has killed off hundreds of fish. Four coaches and 11 rowers from the U.S. got sick after an Olympic warmup event in the lagoon last year. There has already been an unsubstantiated (but not exactly unbelievable!) rumor that a kayak was capsized by a sofa in the lagoon. The slalom events should be fine, though, since the water used there is purified and chlorinated. So they have that going for them. There are too many medal events to run down all the favorites, but one guy to watch is Brit David Florence—who won silver in two different canoe events in the last two Olympics. Solo slalom kayaker Michal Smolen is probably Team USA's best shot at a medal. He won bronze at the world championships last year.